It was a beautiful late spring day with clear blue skies. My friend and I sat in the shade of Kiepersol’s covered patio enjoying a glass of their Texas Syrah, I looked across the horizon at the rows of neatly planted grape vines. The view was stunning and conjured feelings of being at a Napa vineyard, not a Texas winery. I could envision the love and pride that this Texas family puts into the vineyard and whose winemaking mantra is to tell a story with each year’s vintage. Kiepersol has been producing Old World style red and white wine from hand planted vines and aged in American and French barrels since 2000. Using gravity to transfer aging wine from one barrel to the next instead of a mechanical pump leaves the wine with a smooth taste allowing for a balanced finish. Adding to the smooth yet complex taste is the historical tidbit that the vineyard sits on top of Bullard Salt Dome. A salt dome is a prehistoric deposition of salt left from receding oceans in the late Jurassic period. The rich fossil mineral creates an ideal growing environment for the grape vines and imparts some of the unique flavors that Kiepersol is known for. Kiepersol produces red wines from Cabernet and Merlot to Bordeaux-style blends such as their Texas Mengsel with flavors of black pepper, raspberry, and strawberry to their artisan Azuca Artize which is a Pinot Noir style aged in oak barrels with a hint of sweet cherry and raspberry. Their newest red varietal released in 2017 is a sweet red blend that they say is, “the point at which a great plan comes together…the sun, the soil, and the sense of place come together perfectly.” It is vibrant red with traces of a summer fruit cocktail and a dash of licorice. As for their white wines, I had a chilled glass of the Texas Tjaila (pronounced chai-luh). It is a sweet dessert wine crafted after the Sauterne in the Bordeaux region. Tjaila is a beautiful sun-kissed golden-yellow with legs that slowly make their way down the side of the glass. Tjaila’s rich honey, orange, and peach notes reminded me of meads classy cousin. I definitely am a fan of sweeter varietals. I thoroughly enjoyed the tawny Texas Port with deep vanilla nut flavor and chocolate undertones. During our port tasting, we received a first-hand lesson involving the love affair between chocolate and port. When I took a bite of chocolate and then had a sip of the port it intensified all the different flavors of the port. It made me wonder if I have a bite of a raspberry infused chocolate will it bring out more of the fruit flavor in the port? There are so many flavors and types of chocolate this could be a fun experiment. The best of both worlds – wine and chocolate – what is not to love? Michelle, mixologist for the distillery has a gift for concocting craft cocktails from Kiepersol’s spirits sharing with us a personal recipe for creating mulled spiced rum using Pierre’s. Check out my recipe below, it will be perfect on a chilly winter day. Named after the de Wet family patriarch, Dirk’s Texas Vodka was the first of the three spirits distilled by Kiepersol. The vodka embodies the dream of a South African gentleman farmer that envisioned a life in Texas. Distilled from a mixture of Kiepersol’s own grapes and grain Dirk’s is a smooth, clear vodka with a low mineral content thanks to the pristine underground aquifer and a clean finish. The bottling of triple-distilled vodka began in early 2014. Jimmy’s Texas Bourbon was a fast second in line rolling out in mid-2014. Named after a WWII torpedo pilot from Texas with a zest for life and freedom. It is Jimmy’s goggles that grace the label on the bottle. The golden bronze coloring of this Texas sourced rich malted whiskey bourbon is from the charred American oak bourbon barrels and Kiepersol’s own port barrels that the whiskey is aged in. Tasting Pierre’s Texas Rum is a flurry of distinct flavors with a slight smokey vanilla note. Pierre’s is a dark caramel colored rum made with three types of Texas molasses, fermented, distilled, and aged in Kiepersol’s own American oak barrels that at one time aged their port. Aging the rum in the port barrels imparts a unique vanilla flavor to the rum. There is a bit of everything at Kiepersol making it a destination in East Texas. It has a winery, a distillery, gift shops for both, a restaurant for when you get a bit peckish complete with a two-story wine cellar, and a bed and breakfast. Kiepersol Vineyards, distilled spirits and wine are perfected with fossil minerals, the B&B rooms feel like old world Tuscany with a modern flair and have a delectable gourmet meal. Visit today and plan to stay a spell because once you experience their hospitality, you may not want to leave. Reservations for lodging and dinner can be made by calling (903) 894-8995. The distillery and wine tasting rooms are open Tuesday – Saturday from 11 am – 7 pm. Bring the wine, rum, water, vanilla, cardamom, cloves, cinnamon, allspice, orange zest, lemon zest, hibiscus flowers and sugar to a simmer in a saucepan slowly for 15 minutes or simmer in a slow cooker on low for 1-2 hours. Strain and place into heat resistant punch bowl or keep in the slow cooker and keep on low. Place 1 cinnamon stick, several fresh cranberries, and a few slices of orange peel in the bottom of each punch glass. Pour the warm wine mixture over and serve. I am not much of a wine connoisseur but an occasional glass is a welcome change. But I have never visited a vineyard before, would love to see the process of wine making and sip some good Texan wine. Thank you for stopping by Empty Nestopia and sharing your comment. We enjoy a glass of wine to end the week. Cheers! Wow, it is such a heartening effort by the Texan family to create a sustainable heritage. I have never visited any winery before and these terms related to wine are quite new to me. Enjoyed reading your post and I got to know a little bit about wine and winery. I am thrilled you liked the article. Wineries are a great way to spend a relaxing day. Thank you for your comment. I’ve never tried any Texan wine before, and really enjoy a good glass. Living half the year in Italy we drink a lot, so I’m intrigued to visit this vineyard one day! Hi Lisa! I would love to live for a time in Italy! That is one of my dreams. It would be a fun tasting to compare Italian wine with Texan wine. 🙂 Thank you for your comment! I had no idea that Texas had a vineyard. Cool! Like you, I like sweeter white wines so I am curious try your recommendations. I love how this place has a distillery too. I might never leave it! Hi Nicole! Texas actually started producing wine before California and is a huge wine state with over 500 wine producers. Some are small family vineyards while others are numerous acres. Kiepersol is one of several that have branched out to also create distilled spirits from the grape skins. 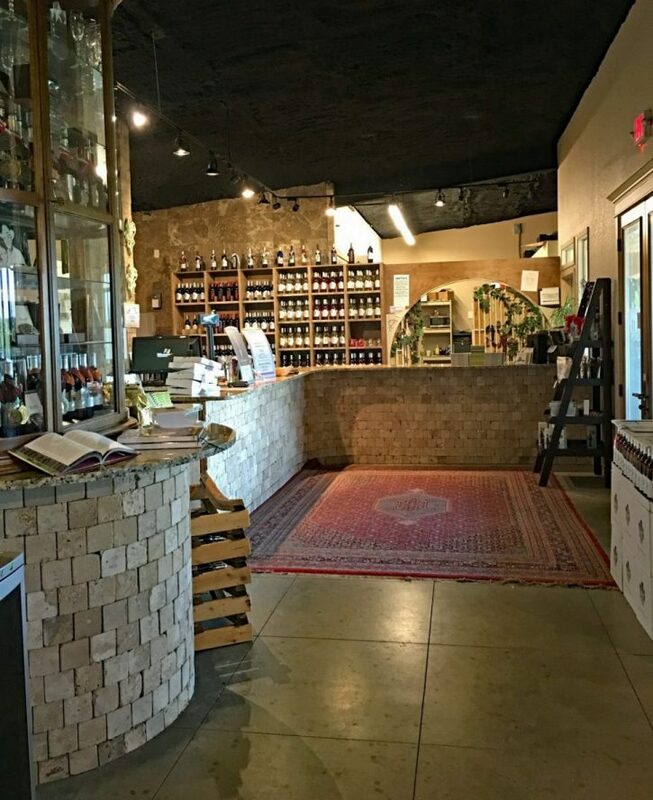 One of the largest wine areas in Texas is Hill Country which is home to Fredericksburg – a must visit location for wine lovers. 🙂 There is a post about Fredericksburg in the works so check back. Thank you for commenting! While reading through your post, I was thinking to myself, sounds like a great place for a wine lover like me. I love both red and white and although I do not have a LOT of knowledge about wines, I do know what I like and I’m sure they’d have a good collection of some fragrant, dry wine for me to choose from. The highlight in your post, however, is the recipe you have shared for mulled wine, with rum! I tried it for the first time this Christmas (2018) to make it at home and it turned out so well that I plan to do it every year so thank you for that recipe, it has been bookmarked. Medha thank you so much for the fabulous comment! I am thrilled that you enjoyed it. I will be adding more cocktail recipes to my site. Please check back often. I’m not a wine drinker, but it sounds like the perfect place to visit for wine lovers. It’s nice you got to have some chocolates that brought out different flavors in the wines. It is a good place for wine. they also have snacks and goodies to munch on. Thanks for the comment! well if i ever head to Texas in the near future, this is going to be my first stop! Looks like such a fun afternoon, thanks for sharing! Absolutely! It was a great afternoon and evening! 🙂 Thank you for responding!